Having trouble importing our previews into Camtasia, Adobe, Sonar etc? Our website previews contain meta information in the file that associates it to Media Music Now. We do this to protect the identity of the music and its source. Most of the time this is not a problem, however, on occasions you may wish to test the preview in your presentation before licensing it. You can do this by using the preview file. 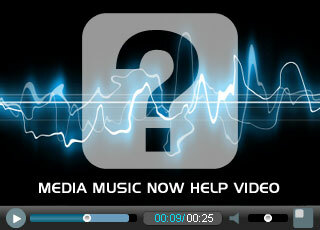 Some audio / visual editing software packages do not import mp3's with meta information, in particular meta images. This can prevent you using our preview files. We offer ‘unbranded preview’ downloads to registered clients of Media Music Now. This is useful if you wish to test our music in your media via software such as Camtasia, Adobe, Sonar, Movie Maker and more. Also, unbranded previews are ideal if you need to get client approval before licensing and do not want your client to know your music source. Unbranded previews are without mention of Media Music Now in the audio watermark. However, they still contain a vocal watermark saying "Preview... all material is copyrighted". The previews are for assessment purposes only. Fully licensed tracks do not contain the vocal watermark and are available to download as higher quality mp3 or wav format. Every music / sound effect track on our website contains a License Now button. Click that to reveal a pop-up box. The unbranded preview link is there as illustrated below. Once Unbranded Previews are active on your account you can download them for any piece.